If your car is redundant for most of the working week, it’s likely to be a money burner. But with a little legwork it’s easy to turn it into a money earner. Here are 10 ways of using your car to generate income ‑ without resorting to mini cabbing or pizza deliveries! Buying cheaper classic cars is a way to make money if you know your stuff. A Morris Minor is unlikely to lose value, and as numbers inevitably deteriorate, so values of tidy cars steadily climb. Get you timing right – such as a car appearing on a TV show, like the Audi Quattro on Ashes to Ashes – and you could make a big profit if you buy it early enough. Any driver can follow the example of sponsored London taxis. 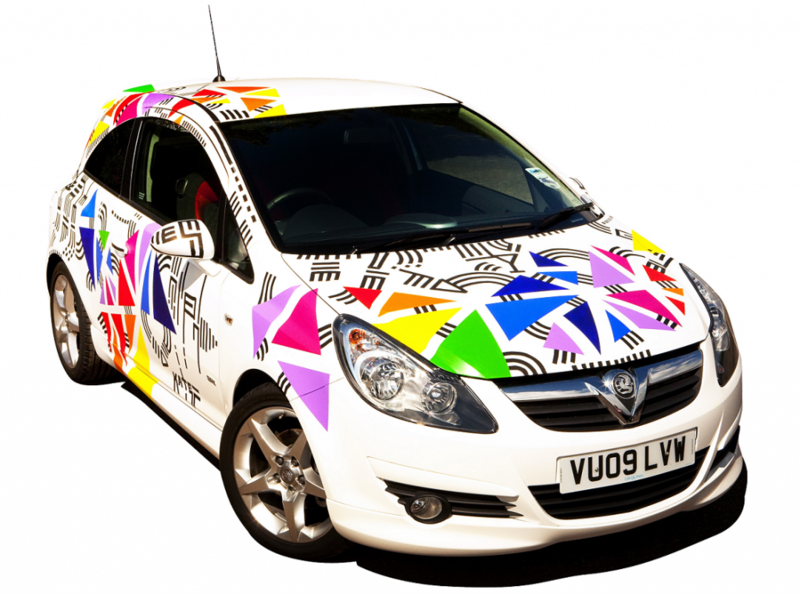 Cover your car in a flexible, semi-permanent coat of plastic and companies can emblazon their logos over your vehicle. Lion Media which specialises in uniting car owners with potential ‘sponsors’ says drivers need to cover at least 500 miles a month but owners can earn up to £1500 a year. Anyvan.com founder Angus Elphinstone says an increasing number of commuters are taking courier work to cover their petrol costs. Around 10 per cent of Anyvan’s 1000 jobs a day are for objects small enough for a family car so why not sign up and give it a try? Experts at used car auction house BCA say a clean car can be worth between 5 and 10 per cent more than one in tatty condition. If you’re planning on selling, invest some spare time in getting your car looking just right and get a better price. According to website park@myhouse, a single off-street parking space near London’s Kings Cross station could earn up to £400 a month. In the suburbs, parking is estimated to be worth £100 a month. Rentagarage.org.uk claims a rural garage can earn around £50 a month while they’ll fetch £100 a month in most major towns and cities. A contract with the renter specifying what is and isn’t included is vital. Some cars are so hotly anticipated and initially in such short supply that early examples could be sold on by the first owner for more than their recommended retail price. It takes capital, knowledge, guts and an eye for the market: for example, early versions of the Rolls-Royce Phantom were selling for around £100,000 more than RRP. Drivers who take to the race track in their own car (known as a track day), could halve the cost of the entrance fee by letting another driver share their car. Make sure you choose a well run track day, take out special track day insurance, agree in writing the terms and conditions with your fellow driver, and check that the organisers don’t mind multiple people sharing the same car (most are happy with this arrangement). Then burn rubber without burning so much cash.